As a daughter to two workaholics, I love a good working holiday! Working online from home gives me the opportunity to design my holidays to work in the morning and explore/sightsee in the afternoon. Last summer, I met up with my roommates from university in Paris! Aloha, I’m Krista – freelancer, digital nomad, workaholic. If we haven’t met before, my name is Krista! 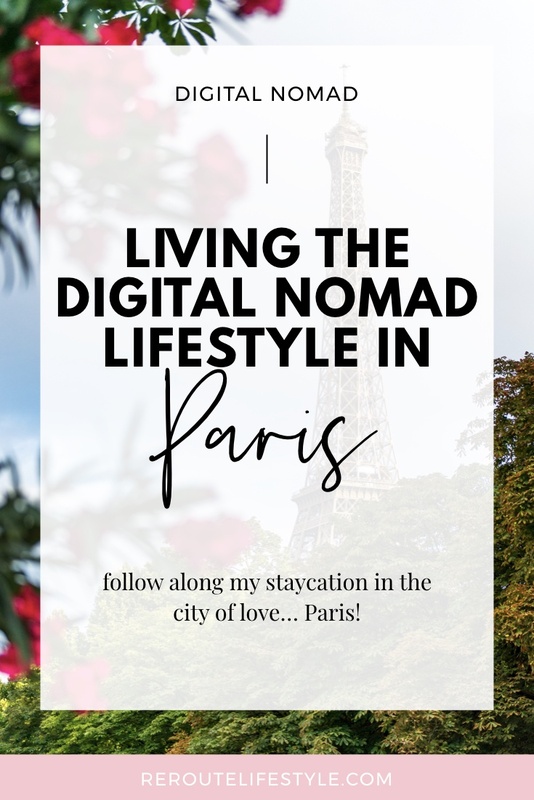 I’m a “digital nomad,” which means that I work remotely from my laptop and leverage that freedom to work from anywhere. I help women entrepreneurs take their business to the next level by taking tasks off their to-do list so they can work IN their business (not ON their business) and live their passion. As an Asian-American who grew up seeing work as self-value, I still find it hard to separate work and leisure. So this lifestyle fits my personality perfectly – I can feel productive working in the mornings, and still spend quality time with people I love in the afternoons. One of the reasons why I travel the world as a digital nomad is because I love the freedom of designing my days. It means a lot to me that I use my calendar as a tool, but I don’t let it control me. I grew up envious of people who travelled because travel was never really a financial priority for me! But I discovered a way to make my monthly budget allow me to travel. Instead of spending $150 on a car and petrol each month, money on shopping sprees, and money on rent… I can spend that saved money on travel transportation, crepes, and activities in other countries. It’s actually really meaningful to me that I spent a working holiday in Paris! Whilst on holiday in France a few years ago, I realized it was possible to create a sustainable income online. I’d come back from a day of sightseeing to emails letting me know my lifestyle blog made affiliate sales. But spending just a few days in a city is not my favorite way to travel. If I’m being totally honest, it’s one of the most stressful ways to have a working holiday! I prefer to travel slowly, settling in places for longer periods of time so I can experience a place and sightsee! Still, I’m very proud that I’ve grown an online business that allows me to travel and meet my friends around the world. Are you thinking of the digital nomad lifestyle? What do you think about the digital nomad lifestyle? Does the idea of working and travelling appeal to you? What are you working towards? What are YOUR priorities, dreams, aspirations? Krista is a virtual project manager who helps multipassionates magnify their online presence with branding, website design, and brand management. Although Krista considers the American Pacific home, she now travels internationally as a digital nomad entrepreneur. Connect with Krista on or Facebook!